SOLE AQUA CO., LTD. Is a professional manufacturer of residential RO water Purification system , filter housings , filter cartridges and commercial RO water Purification system. We have our own injection company , R&D department and two manufactures , which are for double oring filter housings and filter cartridges such as GAC , UDF and inline cartridges. Our business motto is to build good working partnerships with all our customers and Help all our customers become more successful and we will keep striving to provide You the highest quality components combined with the quality customer service that You deserve. We look forward to the pleasure of working with you. 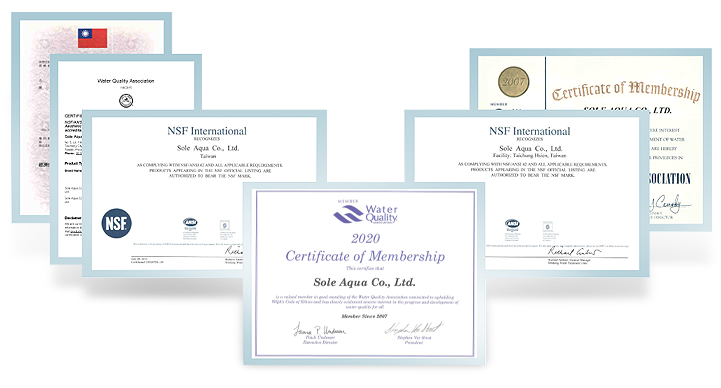 About SOLE AQUA CO., LTD.